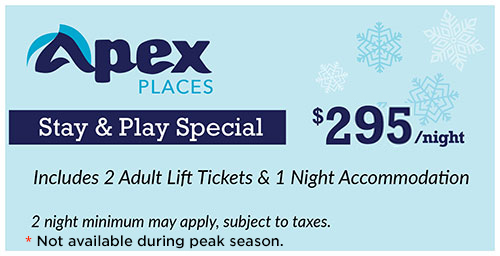 Apex Village provides a variety of dining experiences, whether our guests are grabbing a bite on the way to the lifts or to sitting down to a delicious dinner after a day on the slopes. 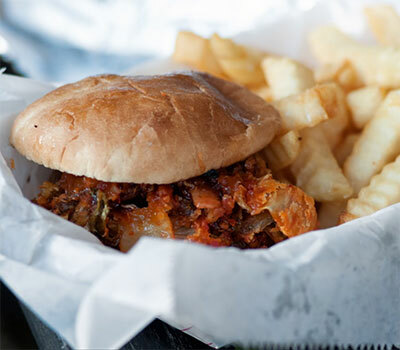 The restaurant, cafés, and bistro of Apex offer delicious breakfast, lunch and dinner fare. Looking for the right location for an upcoming special event? Catering for both large and small crowds is available from various venues at Apex. Groups of up to 200 guests can be served with advanced notice. Call Guest Services to arrange or for more information. Come to the legendary Gunbarrel Saloon to experience the #1 Aprés Ski Bar in Canada. Situated at the entrance of Apex Village, the Gunbarrel offers the true essence of a slopeslide bar. Guests visit the ‘Barrel for the events, celebrations, and the food. This is a great spot to enjoy great lunches and casual dinners. 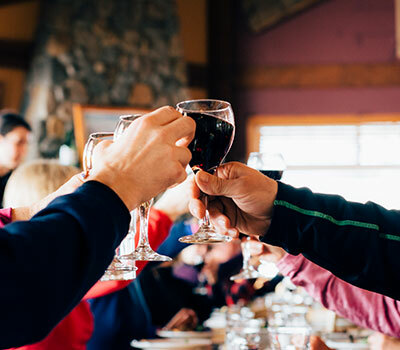 Visit the GB to enjoy ultimate après ski, and serious good times. When its time to step out for the evening, the Gunbarrel Dining Room offers an extensive dinner menu. As well, a tasty treat you might have heard of already, the entirely epic Gunbarrel Coffee. 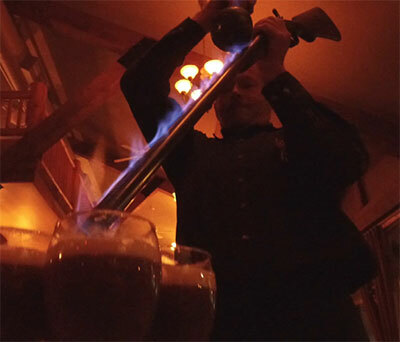 Get ready; this is flaming Grand Marnier poured down a double barrel shotgun into an assortment of fine liqueurs and coffee. It is indeed the stuff legends are made of. Sunny vistas can be enjoyed on The Gunbarrel’s outdoor deck, with its incredible views, located right at the base of the mountain. 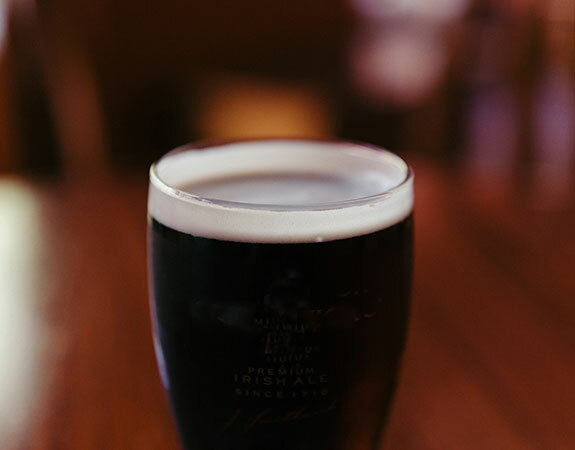 Spend some quality time at the Gunbarrel Saloon, day or night… The vibe here is all Apex, all the time! Early season and holiday hours in effect. In a Hurry to Hit the Hill? When you want convenient, fast service on those big powder days, this is the place to go. The Longshot Cafeteria is located in the heart of Apex Village and provides breakfast and lunch for those with places to get to… Fast! Visit the Longshot for a fine assortment of VQA wines and tasty tapas. Located in the centre of the Village, this new establishment will become the site of many new epicurean adventures. Long Table Dinner every Thursday starting January 10. Cost is $40 per person. Located in Apex Village at the base of the mountain, The Edge is a ski-in / ski-out bistro with all the extras! Drop by for friendly service and a delicious selection of mouth-watering treats. 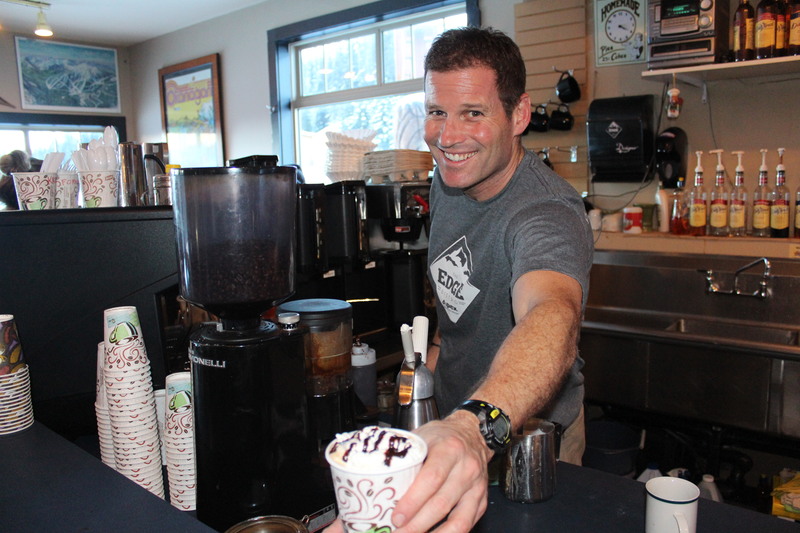 Visit the Edge for specialty coffees crafted with care and homemade baking. A favourite spot of the locals, this bistro serves up great soups, chilis, wraps, delicious breakfast bagels and sandwiches. Vegetarian choices are always an option. The Edge is a great place to stop by and recharge. Having a special event at the Resort? The Edge also offers catering for every occasion with a private space available for groups up to 65 people. Open early everyday for breakfast, lunch and après-ski… Stop by and say, “Hi”! Like us on Facebook. See the Latest!